Now Y and I can finally and officially tick off "to be a model or to model" on our bucket list! 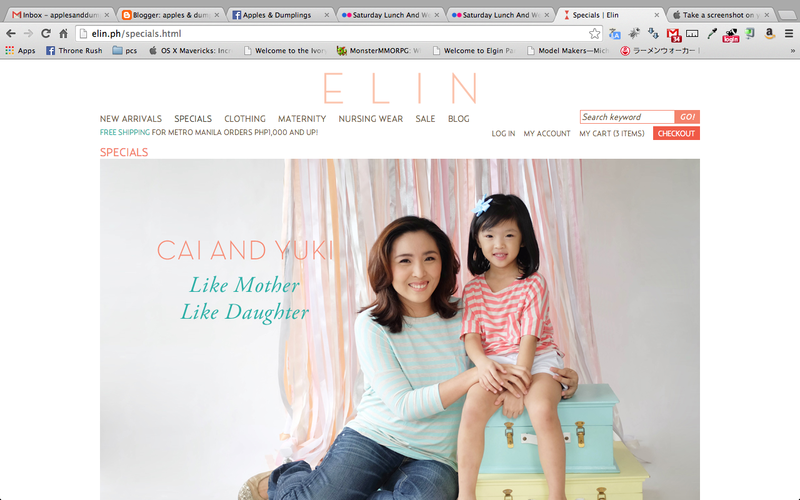 Y and I were models for a day for Elin for their Like Mother, Like Daughter holiday collection! It was a fun, quick and easy shoot! Naks. Sayang walang BTS. Thank you to Gex Garcia and Alvin Albino for me pretty that day! GGSS lang. We're all over Elin! Charaught! Aylavet hehe! Elin now offers clothes for your little girls! You can go dress matchy-matchy this holiday season! The materials they used for their clothes are soft so it's perfect for little girls. This collection has tops, dresses and skirts! 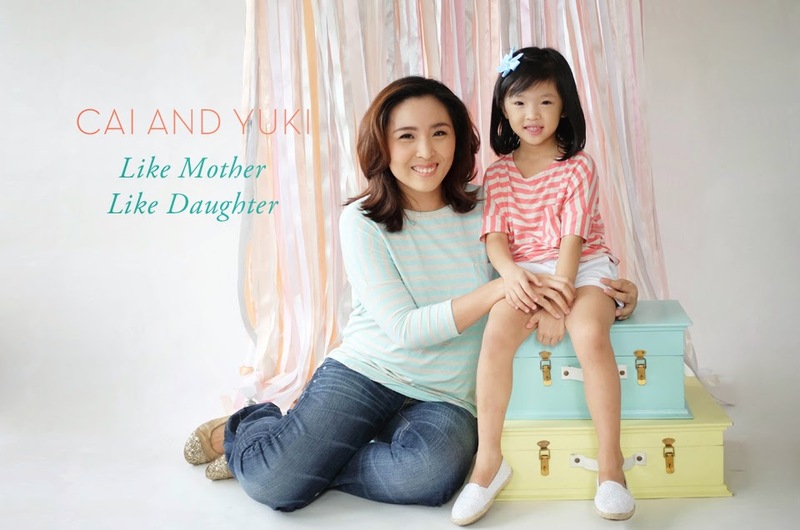 The Like Mother, Like Daughter collection also features other SoMoms and their daughters: Jackie of Go Jackie Go! and Gabbie, Tin of Manila Fashion Observer and Berry, and Fleur of Mommy Fleur and Anika! Shop the Like Mother, Like Daughter collection here. It's selling out fast so buy na after reading this post! And to read more about our shoot at Elin's blog! Here's the size chart for your reference! And don't forget, if you haven't yet, please like their Facebook and follow them on Instagram!